Ever evolving Australian musician ED KUEPPER is a regular visitor to Canberra and will be returning to the Street Theatre later this month to reprise a themed ‘by request’ show, last performed here in 2013. If we were talking about your average one hit wonder act on Triple J, this format would be a cinch. But Kuepper resides in a world of transformative creation far removed from mainstream mediocrity. This consistently engaging artist has recorded an impressive 50 or so albums, stretching back to the raucous garage chords announcing opening cut ‘(I’m) Stranded’ on The Saints’ 1977 explosive rock ‘n’ roll debut album of the same name. The way forward was the post-punk reinvention of popular music as performed by Laughing Clowns that turned into a long and rewarding solo career comprising atmospheric, emotive tunefulness with unexpected detours like the three albums Kuepper recorded with The Aints – a 1990s noise group equally influenced by The Stooges and John Coltrane. He explains that revisiting the request show provides an opportunity to perform in places that he doesn’t ordinarily get too, adding that the format, “adds an air of completely spontaneous interaction and keeps everyone on their toes.” So, we are dealing with an artist who cares enough about his work in a David Bowie kind of way to keep pushing the boundaries of self-expression. Kuepper is equally comfortable performing songs solo or in a band arrangement, and the overall feel of a solo show shaped by the request theme is largely dependent on how the audience responds to an artist transforming a large body of work into a unique event that might or might not come off. “Without going into individual songs, I tend to like and/or dislike each period pretty much equally depending on my mood,” he says. “But regardless of how I’m feeling, I’m a loyal person and stand by my creations right or wrong.” Dropping preconceptions is the key to arriving at a better place for artist and audience, and in a wide-ranging conversation I sense a recurring twinge of humorous cynicism that draws a fine line between everyday existence and a restless need to seek out something more. 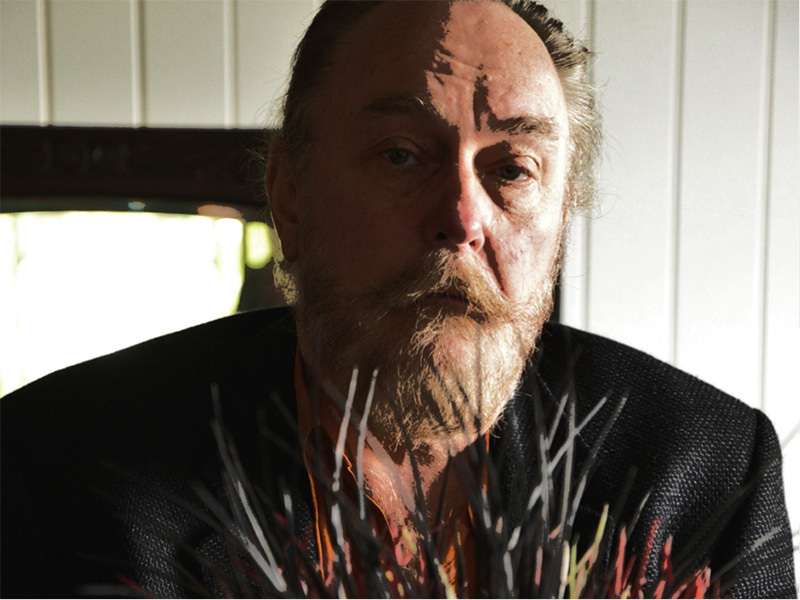 ED KUEPPER will perform solo and by request at The Street Theatre on Thursday August 24 at 8pm. Tickets at thestreet.org.au.